Has the doctor ever prescribed a pet to your elderly parents? Owning a pet is a huge commitment but the benefits are just as abundant. My pet companion, Bailey (Maltese/Poodle) will help you strike a balance. 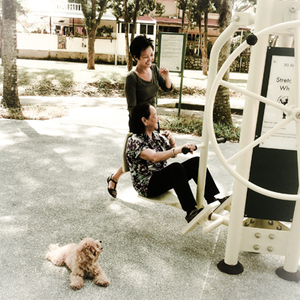 Having a pet around will encourage the elderly to go for walks and exercise. Round trip taxi charges apply.